Experience a performance––what Stuart Moulthrop and I call a “Traversal”––of an interactive environment, Red Planet: Scientific & Cultural Experiences with Mars (2001) by Robert Markley, Harrison Higgs, Michelle Kendrick, and Helen Burgess. This is a live performance streamed on YouTube and also captured in video in the Electronic Literature Lab. To access the work, we will be using the DVD from The Grigar Collection running on an Apple iMac flat panel (circa 2002). Performing the Traversal is Helen Burgess, new media scholar from NC State, editor of the journal Hyperrhiz, and a member of the Electronic Literature Organization Board of Directors. Guests can view the Traversal in person at Multimedia Classroom Building, Room 211B, or online at https://www.youtube.com/watch?v=kXJIc… event begins at 1:30 noon PDT and will end at 3 p.m. PDT. Helen J Burgess is Associate Professor of English at North Carolina State University. She received her BA (Hons) and MA (Dist.) 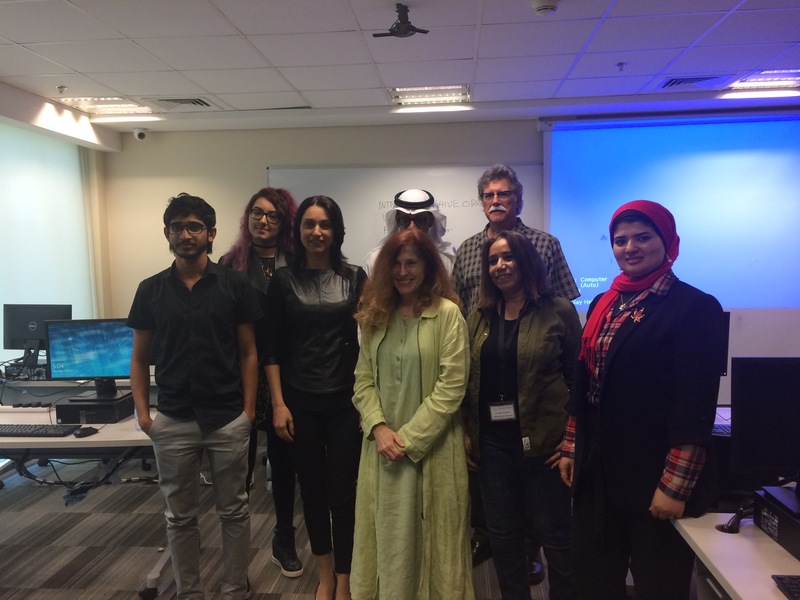 in English Language and Literature from Victoria University of Wellington, in New Zealand, and her PhD in English from West Virginia University. Her interests include digital humanities, electronic literature, multimodal composition, critical code studies, multimedia and web development, and feminist crafting. 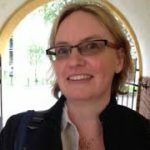 Dr Burgess is active in the new media research community as editor of the online journal Hyperrhiz: New Media Cultures, technical editor of Rhizomes: Cultural Studies in Emerging Knowledge, and editorial board member for thresholds journal and the Bloomsbury series Electronic Literature. 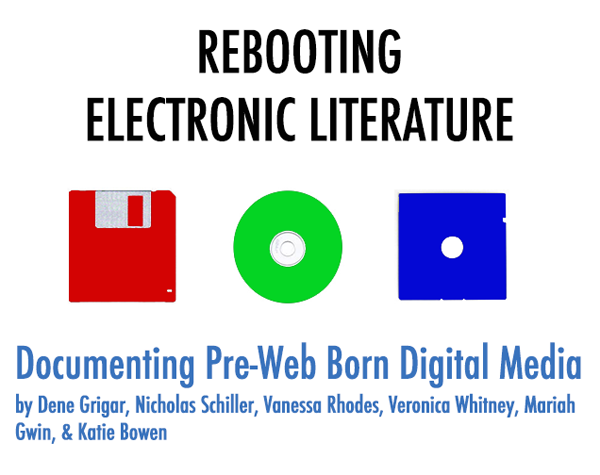 She is also on the Board of Directors of the Electronic Literature Organization, and co-editor of Hyperrhiz Electric, a monograph series for born-digital multimedia and digital humanities projects. 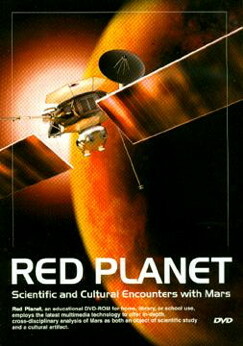 Major media works include Red Planet: Scientific and Cultural Encounters with Mars (Markley, Higgs, Kendrick, Burgess 2000) and Biofutures: Owning Body Parts and Information (Mitchell, Burgess, Thurtle 2008), both titles published in the Mariner10 interactive DVD-Rom series at the University of Pennsylvania Press, and Highways of the Mind (2014) an interactive book for iPad from Penn Press coauthored with Jeanne Hamming. Her latest work is The Routledge Research Companion to Digital Medieval Literature (2018) coedited with Jen Boyle. She is currently preparing a digital humanities project, Intimate Fields, for publication in the University of Victoria’s Kits for Culture Series with fellow NCSU faculty member Margaret Simon. Burgess, Helen and Jeanne Hamming. “New Media in the Academy: Labor and the Production of Knowledge in Scholarly Multimedia.” Digital Humanities Quarterly 5 (2011). http://www.digitalhumanities.org/dhq/vol/5/3/000102/000102.html. Markley, Robert, Helen Burgess, and Jeanne Hamming. 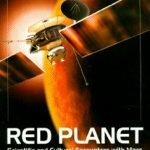 “The Dialogics of New Media: Video, Visualization, and Narrative in Red Planet: Scientific and Cultural Encounters with Mars.” Eloquent Images: Word and Image in the Age of New Media. Edited by Mary Hocks and Michelle Kendrick. Cambridge, MA: The MIT Press, 2003. Markley, Robert. Dying Planet: Mars in Science and the Imagination. Durham, NC: Duke University Press, 2005. Markley, Robert. “New Media and the Natural World.” Adrift in the Technological Matrix. Ed. David L. Erben. Lewisburg, PA: Bucknell University Press, 2003. Vandendorpe, Christian. From Papyrus to Hypertext: Toward the Universal Digital Library. Champaign, IL: University of Illinois Press, 2009. 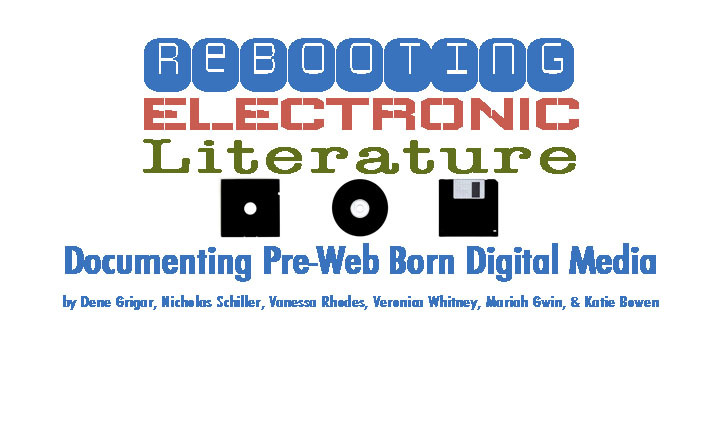 Organizers: Dene Grigar, Nicholas Schiller, Greg Philbrook, Vanessa Rhodes, Veronica Whitney, Mariah Gwin, and Katie Bowen.